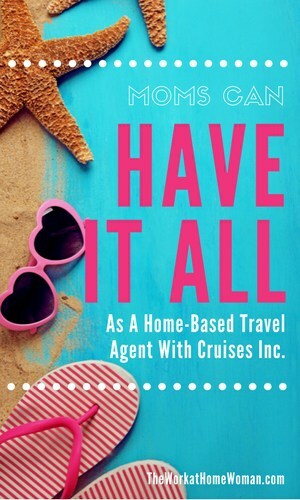 You are here: Home / Work at Home Ideas / Moms Can Have It All As A Home-Based Travel Agent With Cruises Inc.
Juggling a career and family is no easy task. Imagine being able to run your own business from home, without having to handle the complex responsibilities that go along with it. Or talking to clients on a daily basis who are excited to work with you. This does not have to be a dream. Working in an exciting industry where you can learn about the world and have numerous travel perks is at your fingertips with home-based business opportunity Cruises Inc.
San Clemente, Calif. resident Lori Foster is a former high school Earth Science teacher who became a Cruises Inc. independent vacation specialist eight years ago. She wanted the ability to work from home when her children were babies, and the flexibility to create her hours so that she could attend school events when they got older. 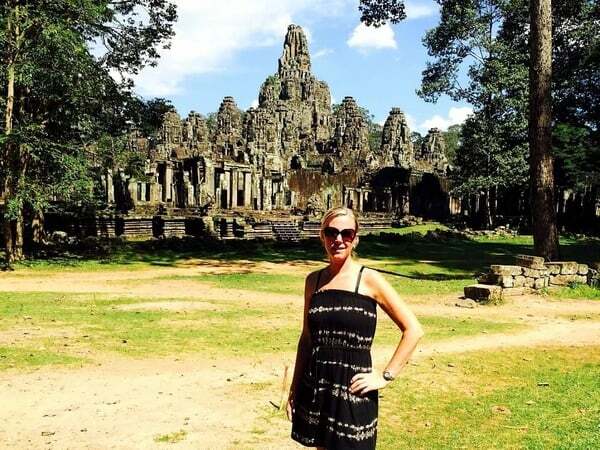 Below is a Q&A with Lori about being a vacation specialist and where her travels have taken her. 1. Do you need a background in travel to be successful as a home-based travel agent? The main qualities you need are a passion for travel, organizational skills, and excellent sales skills. Working from home makes finding new business challenging, so you have to be a go-getter. It also helps a lot if you are well-traveled. The best way to sell something is if you have personally experienced it. 2. What's the day in the life of a vacation specialist like? Every day is different, and you can work from anywhere with an Internet connection. That's the beauty of being a home-based travel agent. One day I'm working on planning a European adventure, another day a cruise through Japan, and some days a family reunion. When I need a change of scenery, I will sometimes even relocate from my home-office to my chair on the beach. There is never a boring day, and you're always learning something new. 3. What tips do you have for others thinking of becoming a home-based travel agent? The most important traits you need are to have realistic expectations and patience. You need to work hard to build a good client base, and then give it time to happen. Also, don't become a travel agent because you think that you will travel for free! Being affiliated with a large travel agency like Cruises Inc. gives you amazing benefits that the smaller organizations can't. The management team at Cruises Inc. feels like a small agency in terms of a “family-like” atmosphere, but they offer the best in terms of new technology, marketing programs, continuous training, beautiful websites, and support for all aspects of your business. They provide all of this. If I had to do it on my own, it would take up all of my time, and I would have no time to sell travel—and that's even if I could do it myself! 5. What is the best thing about being a travel agent? The best thing about being a travel agent is that I wake up every morning and can't wait to get to my desk and start work. I get to work with people that are happy and excited they are planning a trip. It feels good to be part of making dream vacations and amazing memories for people. Luckily I have fulfilled many bucket list trips, but there is still a lot left I'd like to do. My next two are the Galapagos and an African river cruise, game preserve, and Victoria Falls. 7. What is the most exotic place you have visited? As for exotic destinations, last year we spent five weeks in Southeast Asia and visited China, Thailand, Laos, Vietnam, Cambodia, Malaysia, and Singapore. Our favorite place is the magical town of Luang Prabang in Laos. Our favorite people were the humble and gentle Cambodians we spent a lot of time with. This year’s trip to the Middle East had us fall in love with mystical Oman, again for the interactions with the kind people we met. Iceland, the land of fire and ice, was another highlight I can't forget. The world is such a beautiful place it is hard to choose just one! Cruises Inc.® is the original work-from-home travel business opportunity with independent affiliates nationwide since 1982. As part of World Travel Holdings, the world’s largest cruise agency and award-winning leisure travel company, Cruises Inc. affiliates are able to sell vacation packages from the comfort of their home. Cruises Inc. provides full training and ongoing support, along with low-cost marketing programs, websites, and innovative technology to position its affiliates for success. For more information on Cruises Inc., visit SellCruises.com, call 888-462-4992, or become a fan on Facebook. Hello, being that this is a business can I receive a tax right off for expenses? Yes, you’d be able to claim business expenses on your taxes. Make sure to talk to your accountant to see what items are eligible. I would like to know more. I’m interesting in bringing in a little income on the side! Thanks! Hi Samantha, You can go here and request additional information: http://sellcruises.com Good luck! Is this a legit site and course? Do you, yourself use them and actually make an income with no hidden fees or pyramid schemes? No, I’m not a rep with Cruises Inc. They are reputable, but this is a business opportunity, not a job, so there is a startup fee. Let me know if you have further questions about the opportunity. I am a grandma who is working 40 to 50 hours a week and I am helping my children to raise their children and still being a wife and doing things in the community. Good Morning beautiful people….currently I work from home for EHI…the parent company for Enterprise, Alamo, and National rental car companies and they are hiring. http://go.enterpriseholdings.com See you at the top! Thanks for sharing this work-from-home opportunity, Rochelle. Not hiring in my state, unfortunately. Am so hungry for all the help and suggestion I can get as my health is also an issue apart from being an unemployed mom. I am in the Caribbean, Jamaica to be exact does this obstruct the opening of the doors [ opportunities ]. The Cruises Inc. opportunity is only available to US residents. It depends. What travel niche do you want to focus on? First, decide on your niche, then do your research. They are tons of host companies, but you’ll want to work with one that’s reputable and that provides training, and ongoing support. Cruises Inc. is one that I recommend. This is a great interview ladies. This sounds like a wonderful opportunity for moms and to get to travel the world is a major perk! I wish you all the best Lori. Thanks for sharing your thoughts and advice with us! Hi Cori, I know! Doesn’t it sound fun! I’m glad you enjoyed Lori’s interview! Thanks for stopping by!